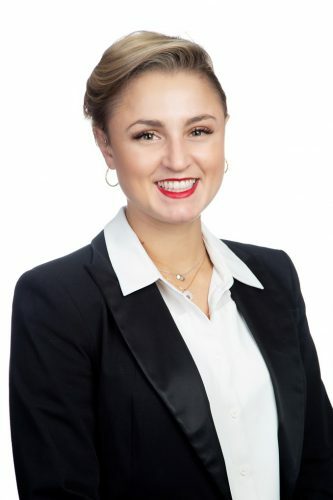 Chloe Kopilovic is a Senior Associate lawyer leading the wills and estates team and practicing in estate planning, estate administration and estate litigation. Chloe moved from Western Australia to Queensland in 2011 and joined FC Lawyers, as a trainee solicitor. After working full time and studying full time, Chloe was admitted to practice in 2013. Chloe quickly found her passion in wills and estates, and in 2018 she completed her Masters in Applied Law majoring in Wills and Estates with the College of Law. Chloe is youngest member to be elected to the Queensland Law Society Council for the 2016/2017 term and has recently been re-elected for the 2018/2019 term. Outside of the law and in the community, Chloe is a committee member for the Australasian Council of Women and Policing, the first female lawyer to achieve a position on this committee. She is also a director of Sunshine Coast not-for-profit hub, Spark Bureau and a director/secretary for the charity, Uniforms 4 Kids. In her past time, Chloe enjoys being outdoors on the weekend, especially on the Sunshine Coast where she lives. Feel free to send an enquiry to Chloe and she’ll get back to you as soon as possible.